Per the NCOWS Authenticity By-Laws, all members of the Berger Sharpshooters have one year from the date of the initial membership to get their gear to Level One Authenticity. Level one is all clothing, weapons and accoutrements be outwardly correct in appearance of the period 1866-1899. The first thing to remember: Not all people in the western North America were cowboys. The people inhabiting the western frontier were settlers, doctors, lawyers, bankers, shopkeepers, barbers, butchers, blacksmiths, teachers, preachers, dance hall girls and housewives as well as soldiers, washerwomen, Chinese laborers, and Indians (Native Americans). To settle the North American West it took people in every vocation imaginable. It is a fairly simple task to meet level one. Take a look at your firearms and tailor your beginning outfit to them. Large frame short barrel single action pistols (Colt & Smith & Wesson) were not the norm until after 1883 or 1884. Case in point: the Colt wheel display at the 1876 Centennial. All large frame pistols had 7 ½ inch barrels or longer. The earliest documented 4 ¾” Colt SA barrel was the prototype for the .44 Rimfire. It was built in 1878. If you have not purchased your firearms, research first, then spend your money. Decide who you want to be when you grow up. Many vendors sell quality trousers, shirts, vests, and suspenders. Until about 1900, the only belts used were pistol belts. Hamilton Dry Goods sells a starter set of shirt and pants. Old Scyene from Canton, and Texas Jack's in Fredericksburg also have quality period clothing. The most difficult (most expensive after firearms) items to procure are period correct footwear and hats. Most of us in this sport are 40 years plus and can have foot and ankle problems. 2 piece riding boots with Cuban heels may not be comfortable walking around on the uneven ground, gravel, and mud on the average WAS range. (WAS=Western Action Shooting). A fairly economical option for male footwear is a brogan. Brogans are high top work shoes worn by most laborers and farmers from the 1850’s until the early 1900’s. A fairly inexpensive modern substitute at the beginner level is Justin Lace Up Ropers. You need to remove the flag or flap from the laces and you have a decent beginner boot. NCOWS does not allow boots with stitching on the toe. One’s goal should be matching clothing styles to a time period. Hats can be expensive but most any western style hat without a crease will work. Most 1870-1890’s hats were 4 to 5 ½ inch open crown with a 4 to 4 1/2 inch brim. There were many headwear styles, derbies, and caps of all types. 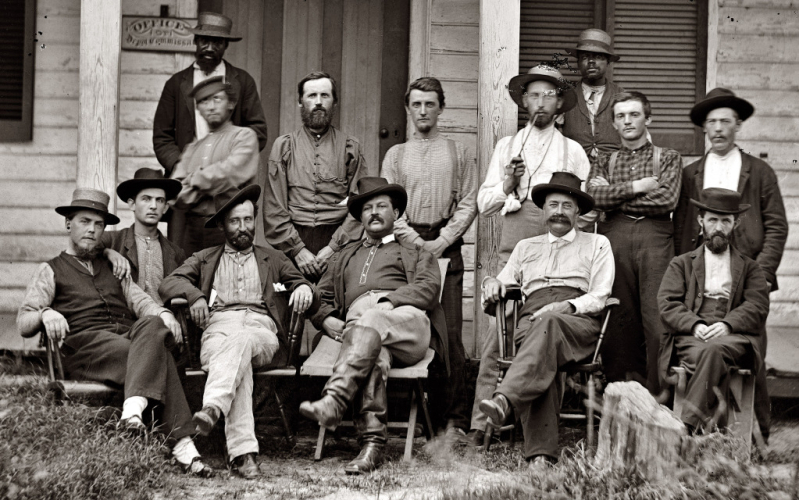 The picture below shows a late 1860’s or early 1870’s survey party. The men wore many different caps. One individual was wearing shoes that look like the penny loafers of the 1950’s. A WAS shooter has many choices. The average woman in our time period did not wear men’s clothes. There were exceptions such as Pearl Hart, Calamity Jane, and the Rose of Cimarron. If you choose not to wear a dress, do a little research and build a period outfit. I have seen pictures of Rose, she seemed to be wearing a split skirt riding outfit. If you choose not to wear dresses or flared skirts, that is fine, but be just as diligent as the other NCOWS participants in making your kit correct to the period. Women’s clothing is readily available from many outfitters, vendors, and e-tailers. Be sure that what you are purchasing is period correct. Many retailers want you to buy what they have, whether it is period or not. If you are shooting/attending with a significant other, consider matching your clothing style/era to him. A settler’s or stockman’s wife would not be dressed as fancy as the Banker’s or Doctor’s wife. In general, only military officers were allowed to marry; this would need to be considered if your husband’s persona is a soldier. Enlisted soldiers were allowed to marry if the unit needed an additional laundress. Women’s clothing changed significantly each decade from the 1860’s thru the 1890’s, so research the fashion trends of the decade you are portraying. Corsets are underwear not outerwear. No self respecting woman would wear her corset visible in public, not even a lady of the night. We have pictures of the inhabitants of a brothel in the 1880, and the “ladies” are wearing “Mother Hubbard” style dresses or regular day dresses and not a corset is showing. Justin Lace Up Ropers will work as women’s everyday footwear as well as men’s. Bargains can be found in the local Goodwill stores. Clothes that can be easily modified can be found at low prices. Junior shooters are welcome. A junior shooter should be competent in the safe use and loading of our period weapons. 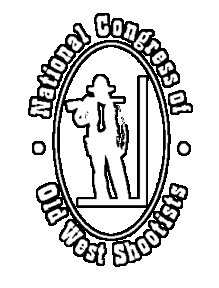 All state and federal laws pertaining to under age shooters will apply. 22 Caliber weapons will be allowed for juniors until they are old enough or large enough in stature to handle center fire weapons. 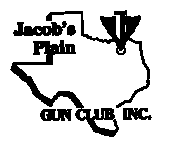 Juniors are allowed any single shot, lever, pump, or bolt action .22 caliber rifle or period style pistol i.e. Colt Scout, .22 Peacemaker or Smith and Wesson or Colt clone etc. In other words bring your kids and grandkids and we will show them a good time. Attempt to get them in some semblance of period dress. Please no tennis shoes or flip flops. Regarding gun leather: Packing Iron by Richard Rattenbury is the authoritative reference for period gun leather. Cabela’s carries economical period leather made by Oklahoma Leather Company. These holsters and belts are late 1880’s Mexican loop style holsters with plain billet belts. These holsters are adequate. El Paso Saddlery carries a wide selection of period leather. There are many custom makers on the internet and show at local gun shows. Most holsters from the old west had closed toes. Earlier holsters from the late 1860’s thru 1870’s generally were of the “Slim Jim” style, the Mexican Loop became popular in the 1880’s, with the Cheyenne style variations showing up in the late 1880’s to early 1890’s. Before you spend your money, a little research will serve the new Western Action Shooter well. The Time-Life Series "The Old West" i.e. The Cowboys, The Townsmen and The Women are all excellent volumes. The entire 26 volume series is a great reference any student of the Old West. Packing Iron by Richard Rattenbury. I See By Your Outfit by Tom Lindmier and Steve Mount is a great source of material for 1885 and later. Montgomery Ward’s and Sears Catalog reprints and Harper’s Bazaar Magazine reprints. Victorian and Edwardian Fashion: A Photographic Survey by Alison Gernsheim has 235 illustrations along with explanatory text. Victorian Costume for Ladies 1860-1900 by Linda Setner contains portraits which show the changing styles. There are also some gentlemen’s pictures in this volume. American Victorian Costume in Early Photographs by Priscilla Harris Dalrymple contains studio portraits that show Victorians in their best clothes. The three photographic volumes are sources for fashion, millinery, jewelry, hair styles, shoes, and facial hair for men. In some cases you have to use a magnifying glass to identify small details, but it is worth the effort. Frontier Family Life: A Photographic Chronicle of the Old West by Marianne Bell shows the varied peoples living on the frontier. Often you see the whole family wearing shirts and skirts of the same material. As their wealth grew, they could afford more than one bolt of cloth, so there was variation. A person who wore stripes, checks, and paisley at the same time was “up and coming”. Wearing “store-bought” clothes was also a sign of prosperity. CAS CITY Historical Society forum on the CAS CITY web site is an excellent source for historical documentation as well. No double loop shotgun belts or 2 shotshell "cups". Belts must have individual shell loops. Only historically appropriate small conveyances for competitors' firearms and shooting supplies will be allowed (e.g., no converted golf carts or modern plastic shooting carts, etc.). Gun Carts are not allowed in the Working Cowboy or Originals class. Visible ammunition containers and shooting supplies and equipment shall be consistent with historical authenticity (no plastic ammo boxes). This list is not a complete list of all suppliers nor is it an endorsement of any establishment over another.